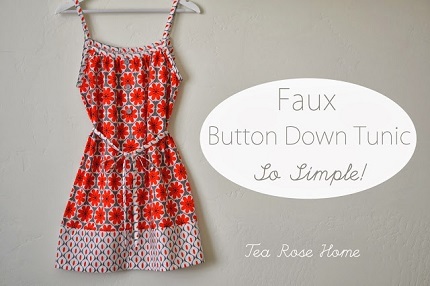 Sachiko from Tea Rose home shares a tutorial at Riley Blake Designs showing how to yourself a pretty new top for spring. It’s her faux button down tunic, a loose fitting sleeveless tunic. The buttons down the front are decorative only so there are no buttonholes to make. The dimensions and template she provides will make a size XS to S, but the cuts are simple enough that you can adjust the size up if needed. Go to Riley Blake Designs to find her tutorial.